What we call “Red Leicester” cheese today can be traced back to 17th century and the style of cheese was much influenced by cheesemaking practices in other parts of England. Farmers recognised the need to make their cheeses look, and if possible taste different from cheeses made in other parts of the country and the convention of colouring cheese with annatto – a vegetable dye derived from the husk of the fruit of the annatto tree found in South America and the Caribbean – spread from Gloucester and Cheshire to Leicestershire. Cheese with a rich orange hue was much valued as it signified high quality. 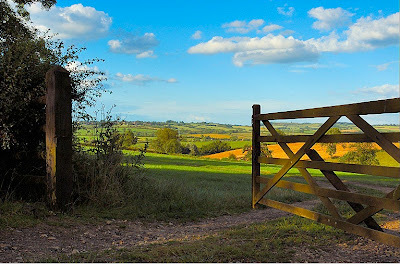 Milk produced by cows grazing on rich grass pastures would naturally have a high carotene content which gave it an orange hue. The cheesemaking process would have concentrated that colour. Other regions of the country then started to colour their milk to mimic Gloucestershire cheese and Leicestershire was routinely coloured. Leicester Cheese was highly rated owing to the fine grazing conditions available in the County and although cheese was sent to other parts of the country – notably London – most was consumed in the county. 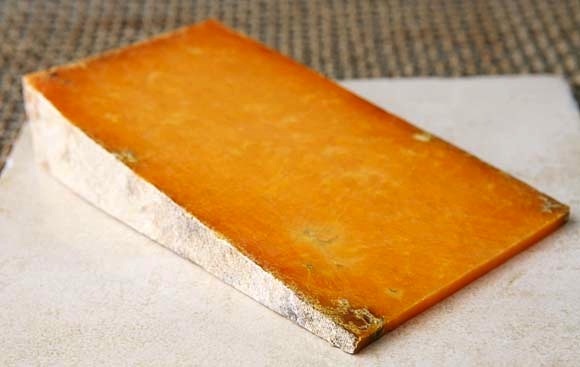 Red Leicester is a russet red hard pressed cheese which will be sold at anything from 3 months to 12 months of age. The traditionally made wheels tend to be firmer and drier but have a luxurious creamy texture and a slightly sweet mellow flavour that becomes stronger as the cheese matures.